The first shipping of 500 Covers arrived from the USA...our new "True to Vintage" PAF Covers...the finest and most authentic Vintage correct 0,20'' thickness Nickel Silver Covers at the market... Finally we did it...our own Vintage PAF Covers...we spend a lot of time and money in research and a complete new tooling to create the new Area59' "True to Vintage" PAF Covers. More real, more accurate and more Perfected Plated replica pickupcover of legendary 59's PAF, here are the new Area59' "True to Vintage" PAF" Covers.... Vintage PAF cover has got this gentle look that only careful hand work can achieve. Drawing, pressing, meticulously cut edges, loosely finished pole piece hole, buffing, plating for a deep shine. To replicate this gentleness, is produced exclusively by specialized staff throughout complex processes, from material processing to finishing. For sure with the correct 0,20' thickness real German Silver material. We are proud to offer our covers much cheaper compare to other Highend Covers...our new covers maybe the best you can buy in this Pricerange...despite that every cover is handcrafted! Its your choice! Modern or Vintage Method? First....both sounds fantastic! Maybe the best Vintage PAF covers ava. in this pricerange! The Vintage LTD -Nickname "RAPP" Cover-...real accurate and perfect plated! 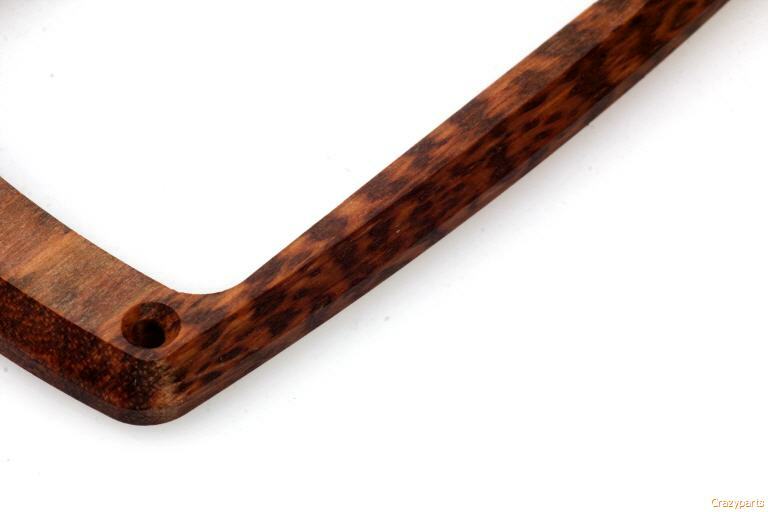 The Vintage LTD Covers has slightly more thinned out dimple holes in case of the method they are polished, but thats not the only difference...the Vintage covers has a shorter plating time with the thinnest possible plating available. We offer two different style polished covers! Best Vintage sound guaranteed for both...slightly different look! Hasn't look and sound this good since 59'! Finally we did it...our own Vintage PAF Covers...we spend a lot of time and money in research and a complete new tooling to create the new Area59' "True to Vintage" PAF Covers. Vintage PAF cover has got this gentle look that only careful hand work can achieve. Drawing, pressing, meticulously cut edges, loosely finished pole piece hole, buffing, plating for a deep shine. To replicate this gentleness, is produced exclusively by specialized staff throughout complex processes, from material processing to finishing. For sure with the correct 0,20' thickness real German Silver material. Modern or Vintage polished PAF Cover? ....its your choice! The Vintage -Nickname "RAPP" Cover-...real accurate and perfect plated! one has slightly more dimple screw and more thinned out dimple holes in case of the method they are polished, but thats not the only difference...the Vintage covers has a shorter plating time with the thinnest possible plating ava.